Cloud computing is becoming a popular platform to deliver service-based applications (SBAs) based on service-oriented architecture (SOA) principles. Monitoring the performance and functionality of SBAs deployed on multiple Cloud providers (in what is also known as Multi-Cloud setups) and adapting them to variations/events produced by several layers (infrastructure, platform, application, service, etc.) in a coordinated manner are challenges for the research community. 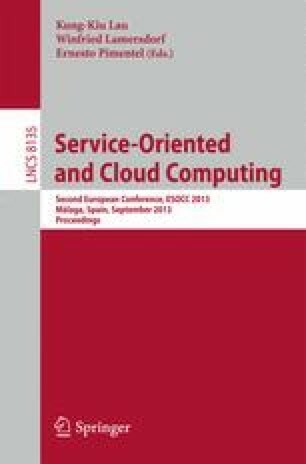 This paper proposes a monitoring framework for Multi-Cloud SBAs with two main objectives: (a) perform cross-layer (Cloud and SOA) monitoring enabling concerted adaptation actions; (b) address new challenges raised in Multi-Cloud SBA deployment. The proposed framework is empirically evaluated on a real-world Multi-Cloud setup.